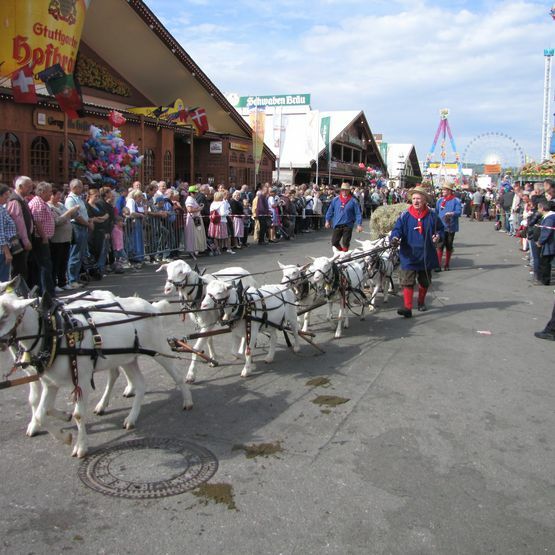 With an almost 200-year history behind it, the Volksfest can point to a big tradition - and it is one that is maintained. 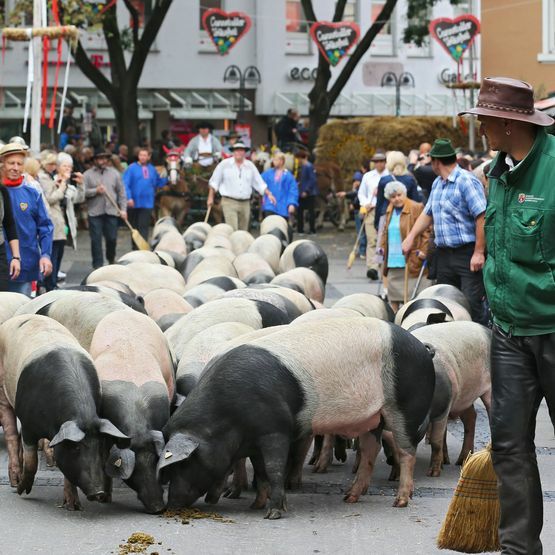 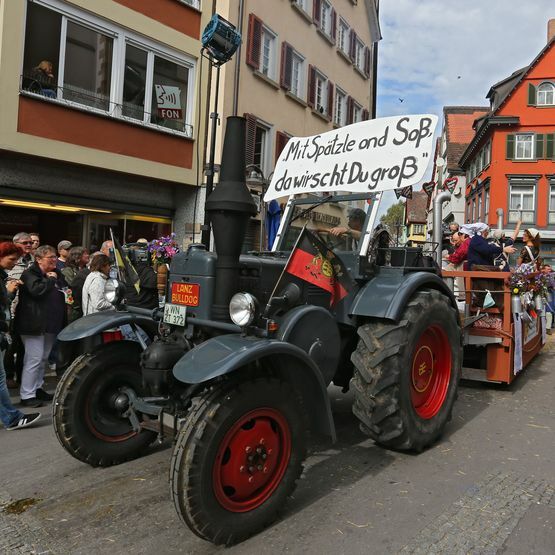 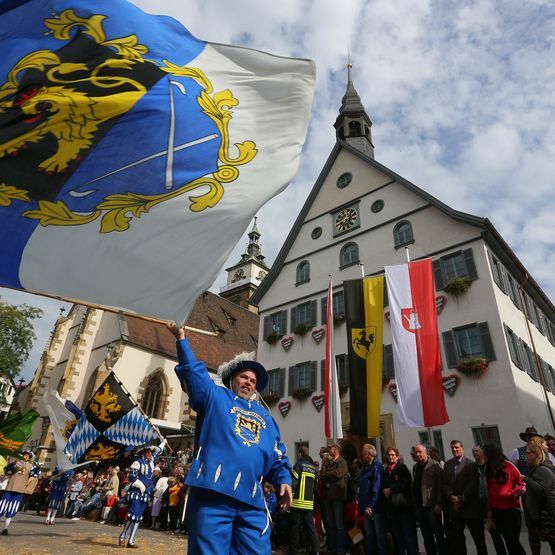 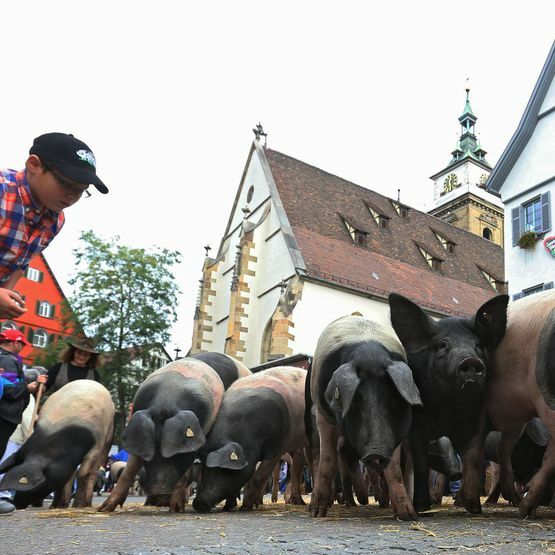 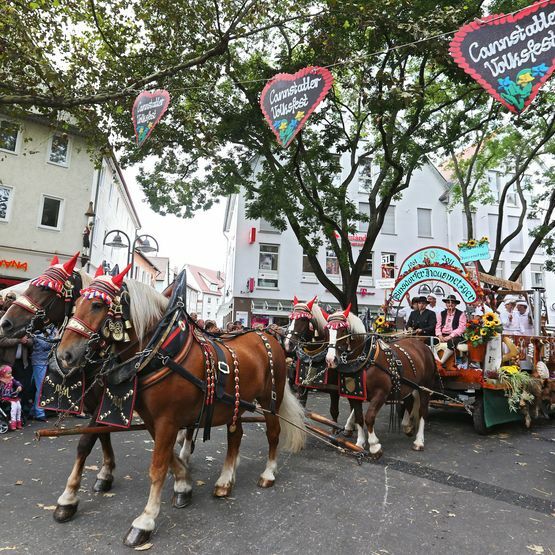 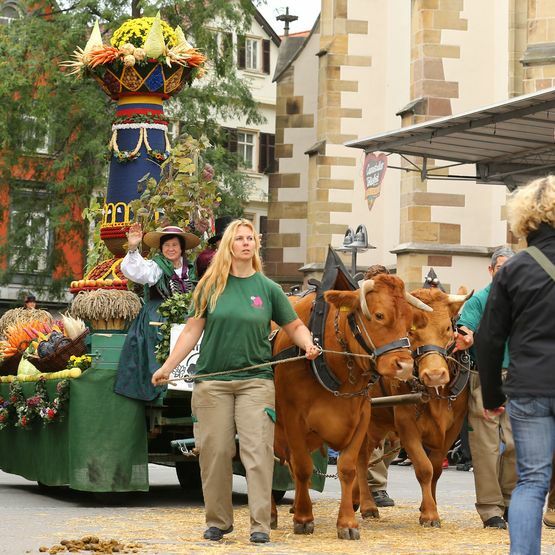 A spectacle for the whole family is the Volksfest parade on the first Sunday of the festival. 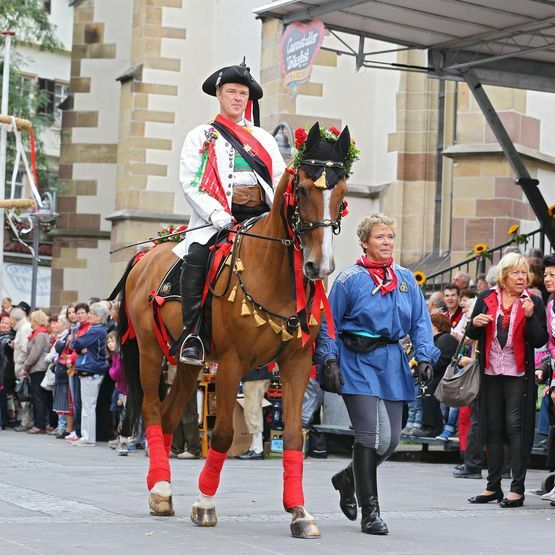 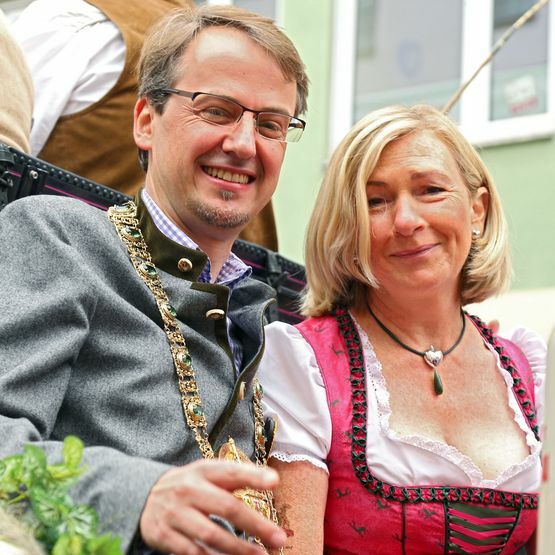 Magnificently decorated horse-drawn brewery wagons, colourful groups in traditional costumes and bands, historical militia and a variety of groups from throughout the state all parade from the Cannstatter Kursaal through the narrow streets of the Bad Cannstatt suburb of Stuttgart to the Wasen. 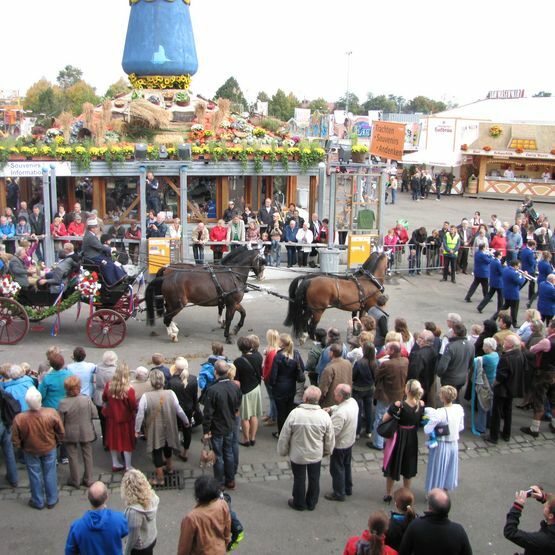 It is watched 250,000 by spectators lining streets and about half a million viewers on the regional television channel. 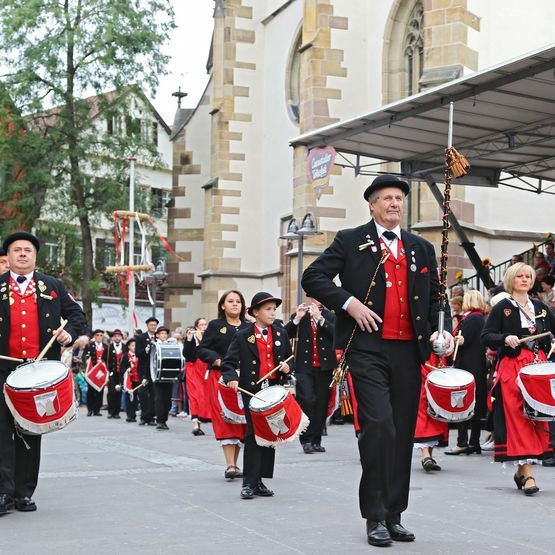 The organisation lies in the hands of the so-called “Cannstatter Volksfestvereins”. 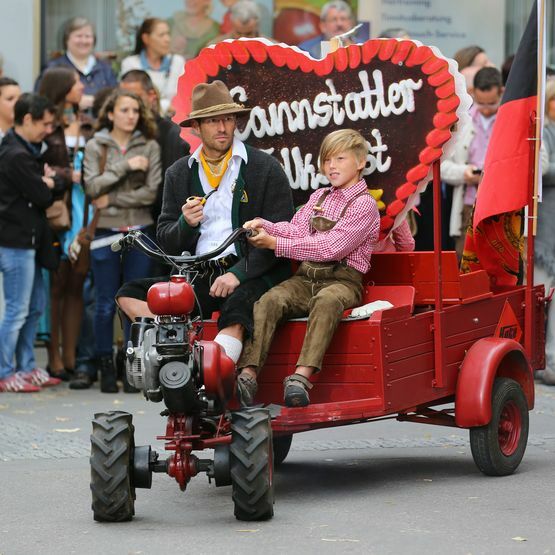 Founded in 1994 to uphold the traditions of the Cannstatter Volksfest, the club has about 560 members. 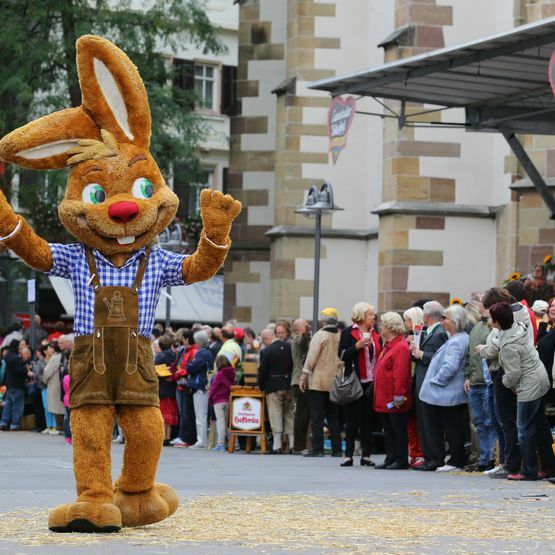 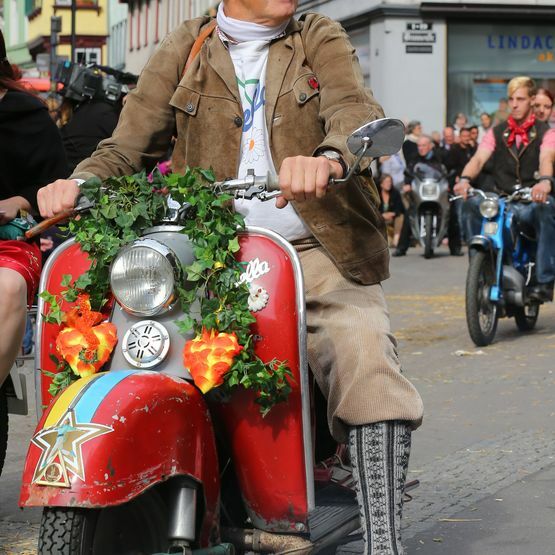 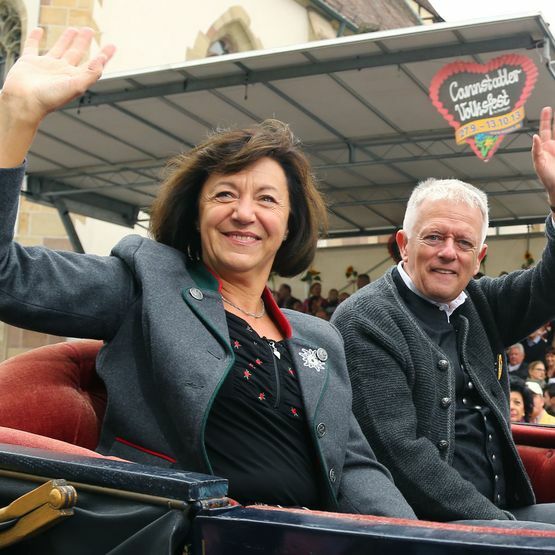 In 2017, the Volksfest parade will set off at 11.00 on 24 September. 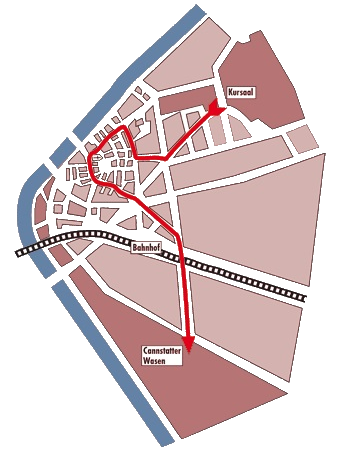 The route starts at Daimlerplatz and goes via König-Karl-Straße, Liebenzeller Straße, Wilhelmstraße, Brunnenstraße, Marktstraße, Wilhelmsplatz, Seelbergstraße, Daimlerstraße to the Cannstatter Wasen.